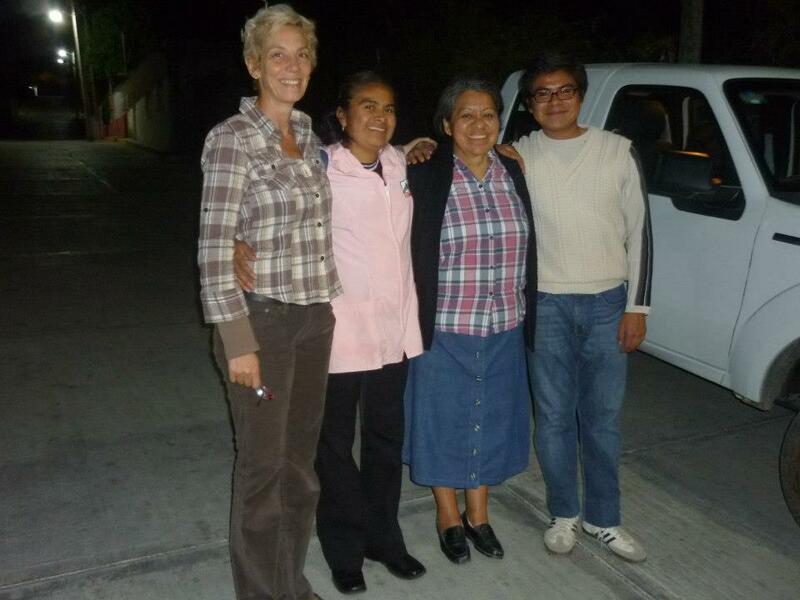 Last week, the team from Nija’nu, were joined by a team of hearing specialists from CORAL, a Oaxacan based non-profit dedicated to providing access, help and resources for people of low income with hearing difficulties. 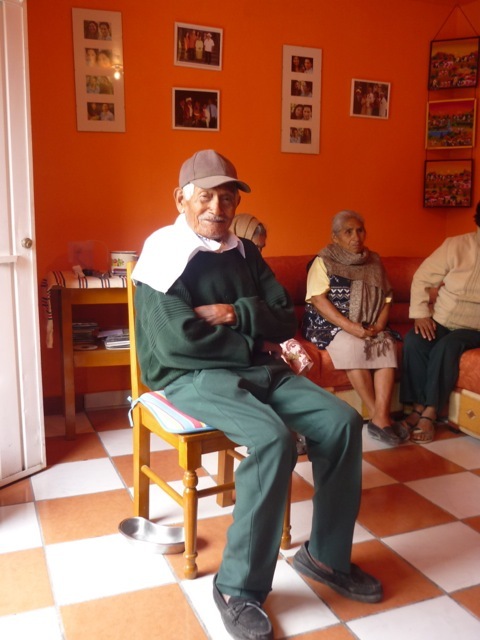 They travelled to Don Gonzalo’s town, Santo Domingo Tonalá, in the Mixteca, Oaxaca and provided hearing tests for 30 elderly people for a very low cost (£2.50/ $4USD per person) all covered by the money raised. The elderly people arrived for carefully scheduled appointments and were treated to fresh melon water and cookies, provided by the Nija’nu team, as they waited. 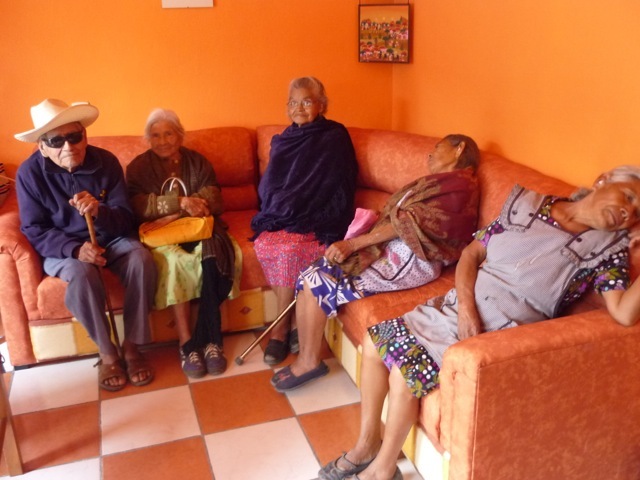 For some of the elderly who are very solitary, this gave them a wonderful chance to chat and feel part of a community. Checks revealed that many needed to have wax that had built up over a number of years removed, before they could have their hearing tested. Removing this released pressure in their ears and even in their jaws, relieving them of pain they had often put up with for years. Not only was this a hearing test, but a chance to feel taken care of and to be given attention and time. Everyone went away with a small bag of fruit, lovingly prepared by the team, using a little of the money raised. Everyone was aware that the main focus in all of this was Don Gonzalo and they were very excited for him. As is often the case with these types of medical problems, his case was slightly complicated. Since he is 96 and has not been hearing well for a long time, the nerves in his ears have stopped firing and have given up trying to hear. 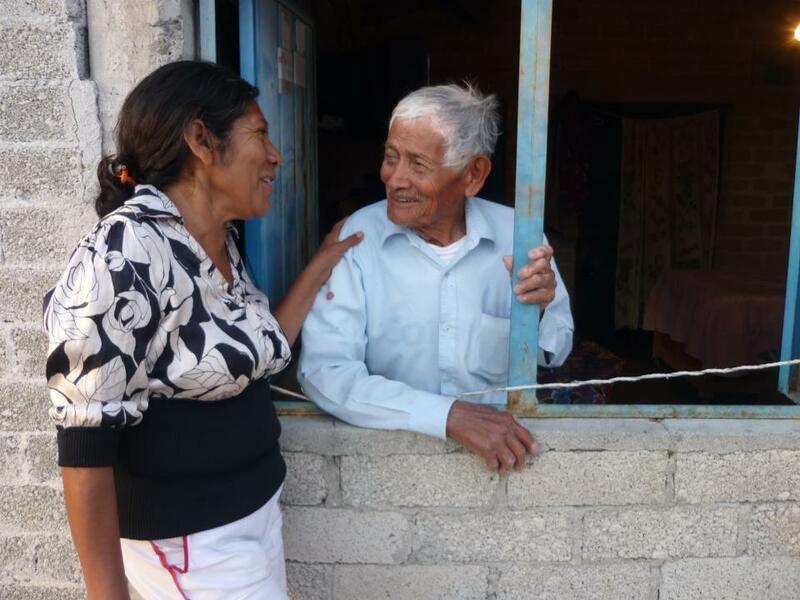 When the CORAL team first tested out the hearing aid, the nerves began to fire and he could hear a lot better and was responding to questions. His speech changed, as did his posture and he began to smile more. However, he got tired and the nerves appeared to stop triggering and he started to feel a little despondent, believing that he just would not hear again. CORAL and Nija’nu have not given up hope though, because they saw him respond with the hearing aid and they caught it on camera (See the video below. It is in Spanish and English but you don’t need to speak Spanish to see what is happening). Therefore, they have decided that the best course of action is to train his ears with a trainer hearing aid first, and then once he is comfortable and they are convinced it will work, he will be given the hearing aids that exactly match his specification. Sadly I was ill and could not make the visit last week, but I plan to join Karen and Nija’nu in February when we will take Don Gonzalo his trainer hearing aid to try so I will keep you updated on the progress. 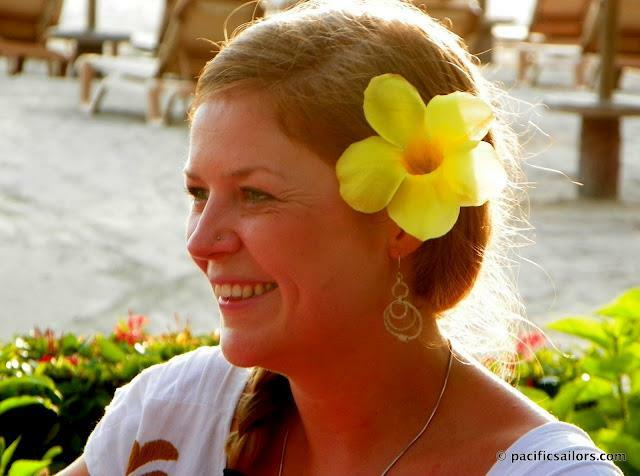 As a result of the hearing tests, CORAL suggested that 12 of the people tested would benefit from a hearing aid. Nija’nu are looking into possibilities for providing these, and if you would be interested in donating to them to help with this goal or any of their other projects, their bank details are below. I continue to be amazed by the professionalism and the well thought-out nature of their work and stand firmly in support of them as a small, grass-roots non-profit. Thank you again to all of you that donated. I shed a tear when I watched the video of Don Gonzalo and I hope you will watch it and see what a wonderful gift you have given him! What a nice, touching story !!! Nice to know that many of us “gringos” still care, and share !!! And wonderful photos to give us a visual idea of the setting !!! Muchisimas gracias !!! Thanks Larry. Living in Oaxaca I am constantly amazed by all the people foreign, Oaxaca, Mexican who care so much and dedicate their life to such incredible work! I’m really glad you felt touched by the story. Thanks for taking the time to let me know, I truly appreciate it!